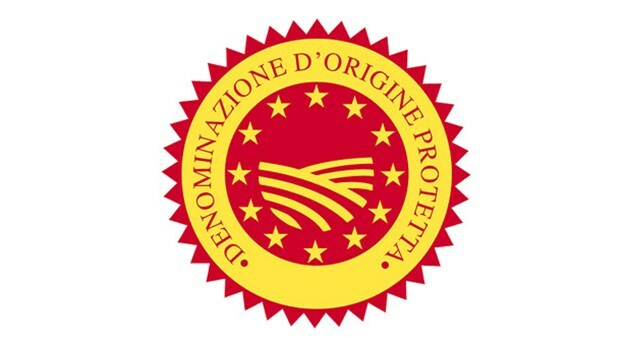 PDO stands for “Protected Designation of Origin”. It is the name of a scheme used to protect products from specific regions or countries whose qualities and characteristics are largely or entirely down to their surroundings. They must be produced, processed and prepared in a given geographical area. 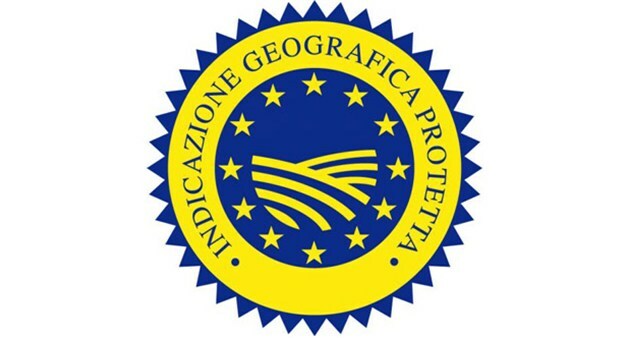 PGI stands for “Protected Geographical Indication”. The scheme places more importance on production techniques than on geographical restrictions. PGI labelling is used for products whose qualities and characteristics are due to their origins in a given region or country. At least one of the stages of production, processing or preparation must take place in the area in question. 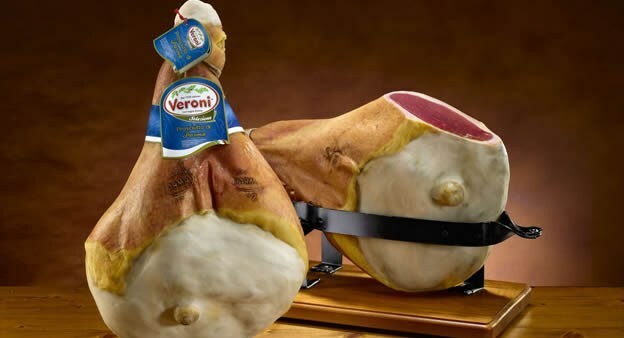 Some cured meats, such as culatello, ham, coppa and pancetta, should be sliced thinly to bring out all of their fragrance and flavour, but with others this is not the case. 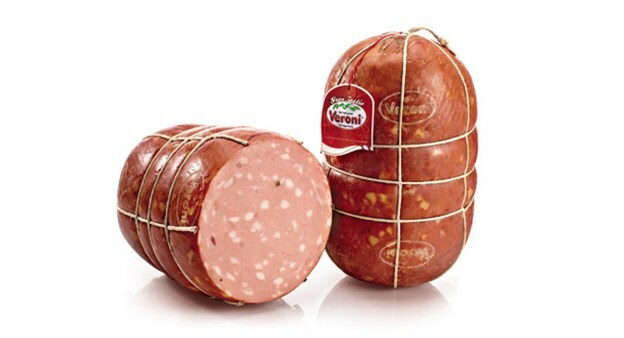 For example, Felino salami should be cut into reasonably thick slices so that the balance between the lean and the grain of the fat can be fully appreciated. While the classic combination is dry-cured ham with melon or figs, other delicious pairings are also possible, such as salami with kiwi fruit, speck with grapes or nectarines, mortadella with pears, and pineapple with cooked ham, preferably of the smoked “Prague” variety. The meat should be put in a refrigerator in its retail packaging. 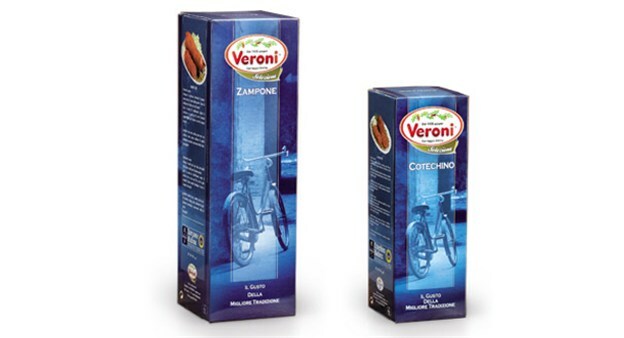 This will preserve its distinctive aroma and keep the moisture content at the right level. Airtight glass containers are an ideal place to store the meat. 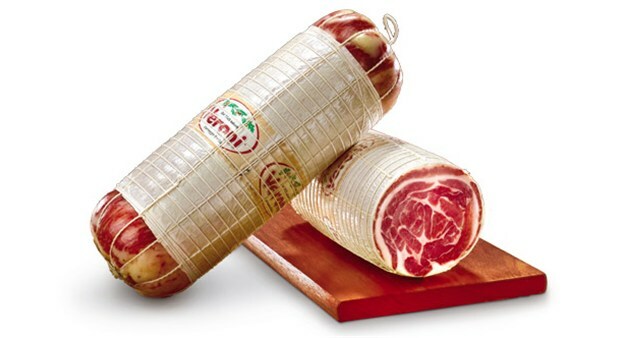 When it is still whole, cured meat should be hung in a cool, dry and well-aired place. It must not rest on any surfaces and the air must be free to circulate around it. Cured meat can also be stored in this way after you have started slicing it. Protect the part that has been cut by ensuring that it is fully covered by a piece of greaseproof paper, which in turn should be covered with aluminium foil. Cured meat that has started to be cut can also be stored in the least cool part of a refrigerator, but it will start to go hard and lose some of its aroma. 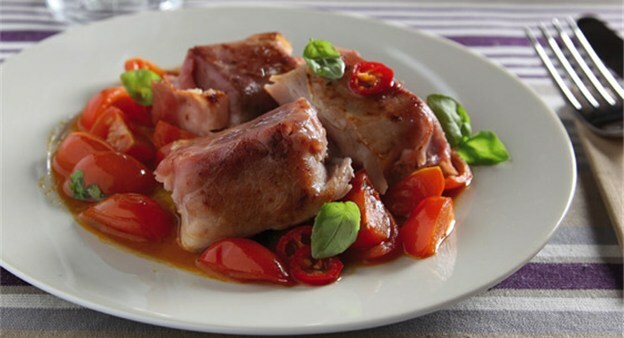 The origins of cotechino lie in the 16th century, in the village of Mirandola near Modena. It was besieged by the army of Pope Julius II and the inhabitants slaughtered all of the pigs and made them into sausages so that they would not be left for the enemy soldiers. 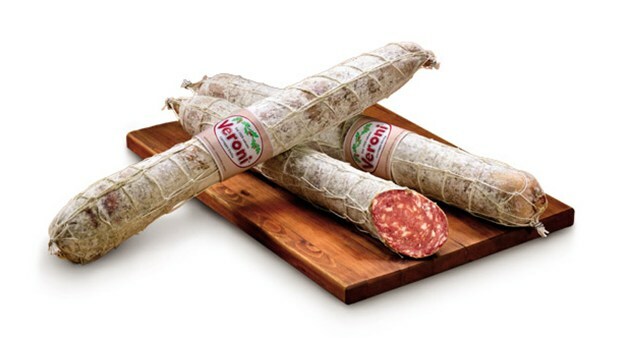 “Good cotechino should be eaten with a spoon” goes an old Italian saying. 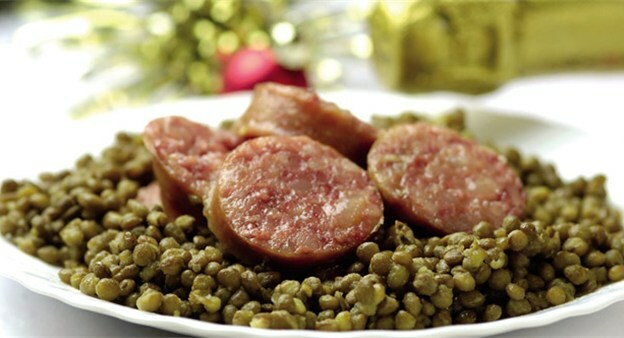 It is traditional in Italy to welcome the new year by eating cotechino or zampone, which should be accompanied by lentils for good luck. Saint Anthony the Abbot is considered the patron saint of cured meat makers and the protector of household animals. Indeed, he is often depicted with a pig alongside him. On 17 January, priests bless animals and their sheds, putting them under the protection of the Saint. Bread is also blessed and then kept for a whole year, before being softened with water and given to the animals to eat on the day before 17 January the following year. 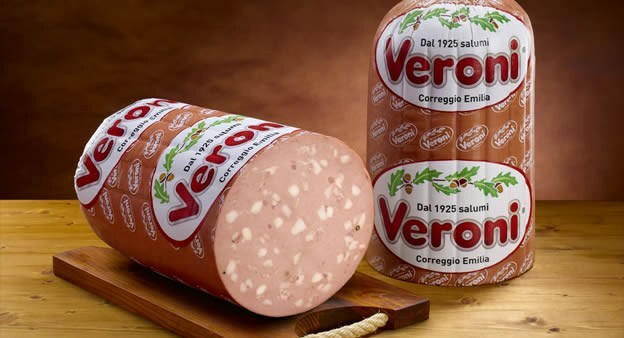 Unlike most cured meat, mortadella’s flavour and aroma remain intact regardless of whether it is cut into thin slices or cubes, so it is ideal for use in all sorts of delicious recipes. 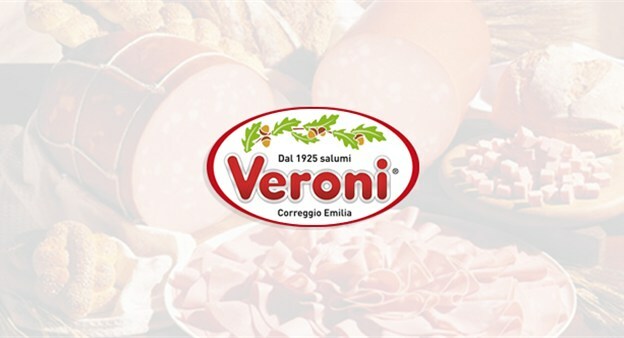 Still today, some people believe that mortadella is made from donkey meat. To find out why, we must go back to 1706, when a missionary stopped in Bologna on his way to France. He ate some mortadella while he was there and found it delicious, so he asked what the ingredients were. However, the recipe was a jealously guarded secret of the people of Bologna, so they decided to give him false information and they told him that it was made with the meat of newborn donkeys!